Old strings: Unknown, these were likely original strings when the guitar was purchased several years ago. A close-up of the bridge and saddle. The strings have definitely aged and corroded (the low note strings were nickel-wound. Ed-silver plated, not nickel – this ain’t a rock guitar! hahaha!) The guitar still sounds good though. 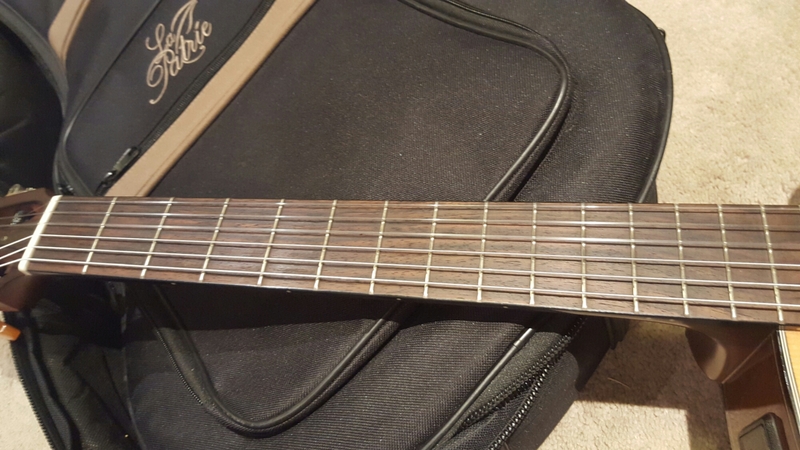 You can see some of the wear on the fret board…the frets themselves were in great shape but the wood was dry and needed a good cleaning. And a close up of the head stock. 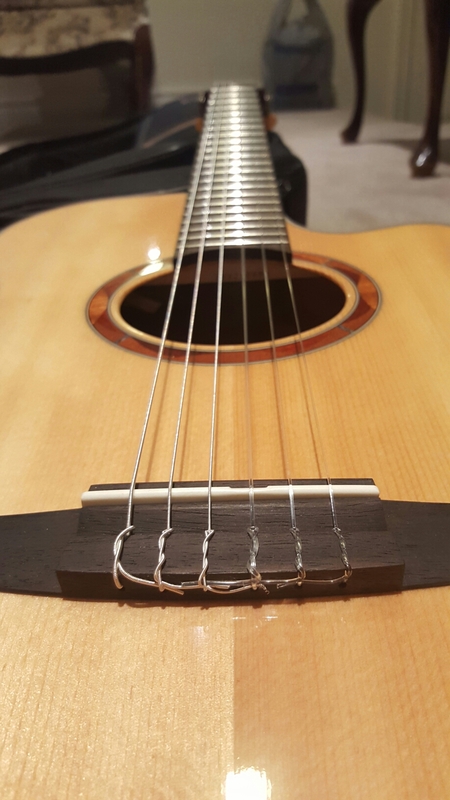 Yup, the strings are worn…those are nickle wound strings (Ed-silver plated) that now look like brass. 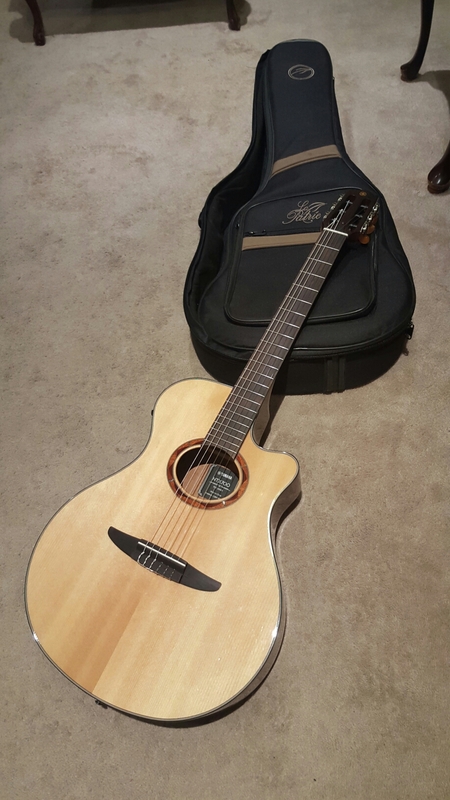 New strings, as well as a good clean and polish on the body, brought the natural beauty of the wood and finish back. It has been some time since I’ve restrung nylon strung guitars. Good to know I haven’t lost my touch. Did you notice the difference in the way the strings have been installed versus the before pics? 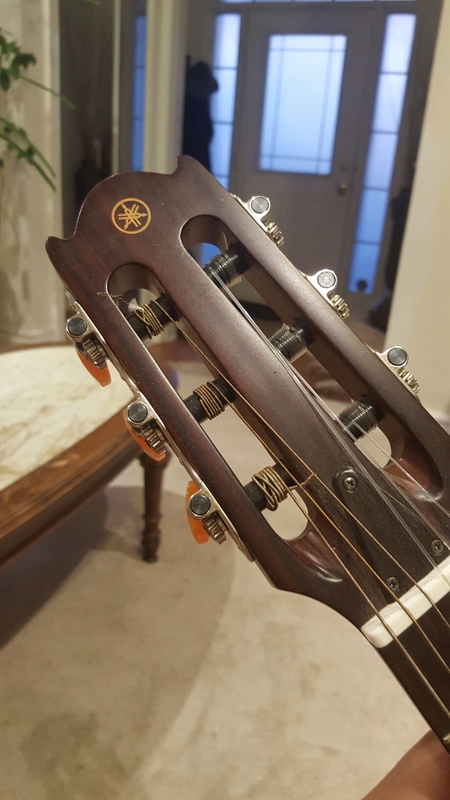 Since the early 90’s, I’ve been using the same stringing technique that I learned from my guitar teacher. 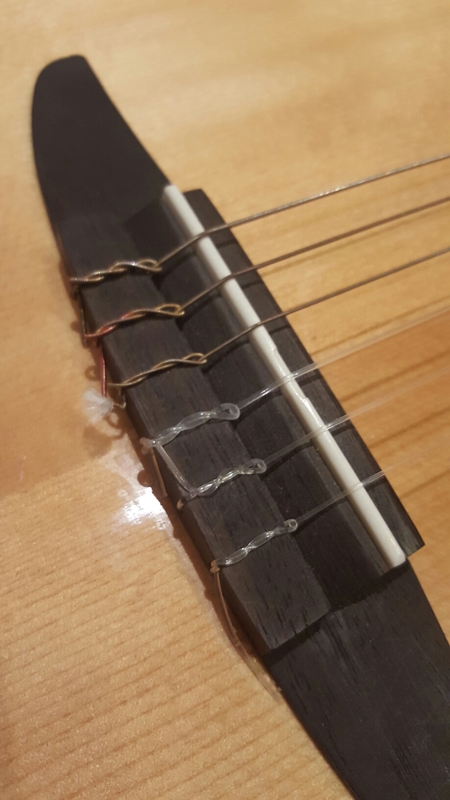 Turns out this is the same as David Doll’s Martin guitar nylon stringing method which can be found on YouTube. 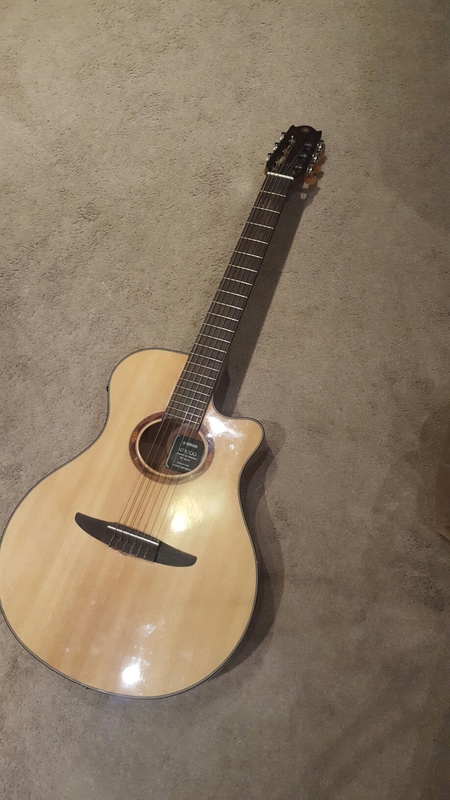 I’m wondering if my guitar teacher owned a Martin guitar? Oooh, the look of gleaming metal on this guitar! Look at those new strings! 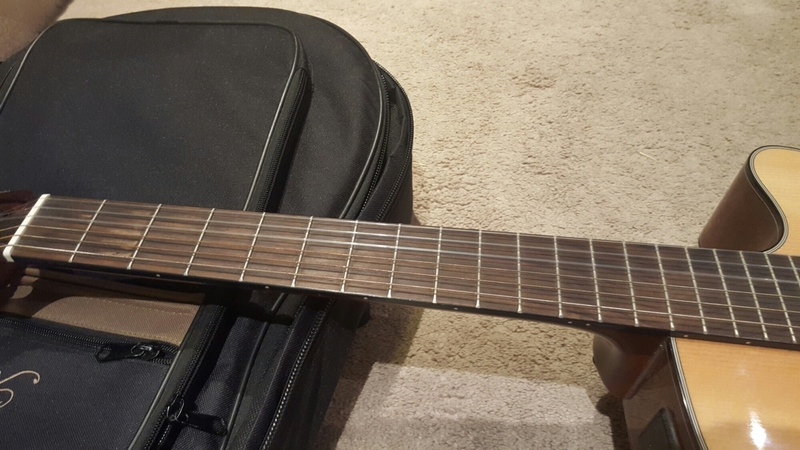 The individual frets each received a good polishing too, while the rosewood of the fret board got a good cleaning and reconditioning…the wood literally slurped up my Dunlop fret board oil! 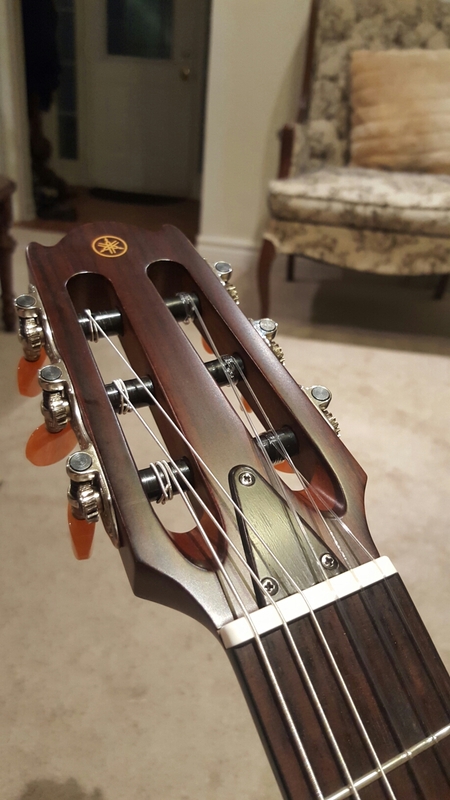 You can see a close up of the nut and first fret in the head stock shot above. ← Seeking Help – Need your votes!